Geography: North East, Durham. Part of the Durham council area. Main population centres: Spennymoor, Bishop Auckland, Shildon, Coundon, Barnard Castle, Middleton-in-Teesdale, Staindrop. Profile: This is the rural south west of County Durham, stretching westwards into farmland, open moorland and the pennine hills. There are several small towns and villages in the rural west of the seat, most notably the historical town of Castle Barnard, a tourist location and site of a major GlaxoSmithKline pharmaceuticals factory. Most of the electorate, however, is in the eastern part of the seat in the old Durham coalfield. Bishop Auckland is the historic seat of the Bishop of Durham, but in the nineteenth century became a mining town and is surrounded by other former colliery towns like Spennymoor and Coundon. Politics: The rural western part of the seat votes Conservative, but it is easily outweighed by Labour voters in the traditional coal mining towns of the east, making this a reliable Labour seat, held by the party since 1935. HELEN GOODMAN (Labour) Born 1958, Nottingham. Educated at Lady Manners School and Oxford University. Former chief executive of the National Association of Toy and Leisure Libraries. First elected as MP for Bishop Auckland in 2005. Junior minister at Department for Work and Pensions 2009-2010. HELEN GOODMAN (Labour) See above. The Tories took both Barnard Castle divisions (4 seats) with fairly comfortable majorities in the local elections this year. They won no other seats on Durham council. That is a bit unlucky to be fair. Everyone has made mistakes like this with Wikipedia. Not unlucky – the result of trying too hard to pretend you are ‘in touch’ with an area you in fact know nothing about. It was unforgivable because it was her own constituency. How could any MP be that out of touch? I should think quite a lot of MPs are similarly ignorant. Especially with such a large proportion of them being London-centred SPAD types or similar. It’s not the worst mistake I’ve ever seen. Former Republican presidential nominee Michele Bachmann was in her home town of Waterloo, Iowa and, talking about her indomitable spirit, compared herself to John Wayne, who was also born in the town. The problem was that noted actor John Wayne wasn’t born in Waterloo, Iowa. Prolific serial murderer and “Killer Clown” John Wayne Gacy was. To an extent I agree with John and Runnymede, though it is a tough ask to expect an MP to know the ins and outs of every village in rural constituencies. It does show however that you should never try to be too clever by half, and only talk about what you know. If I were an MP in a rural consituency I’d certainly know all the ins & outs of its various villages. So would quite a lot of MPs. I agree Runnymede, HH, Barnaby et al. She fits the Oxbridge PPC mold to an extent, plus having been a frontbencher and the rural parts being Tory, she probably hasn’t ventured there. Not quite as bad as Luciana Berger not knowing how many Mersey Tunnels there are or who Bill Shankly was, weeks before becoming a Liverpool MP. This is another reason why late selections baffle me. The Tories still haven’t selected PPCs in 40 marginals, or in 5 safe seats. I realise Party HQs often use them to parachute people in, which is bad in itself, but they should at least give them a chance to nurse the constituency. Equally, the LDs haven’t selected 25 in marginals. Labour fair better, but late retirements mean they’re still to select in half a dozen held seats. People have been parachuted into safe seats for as long as parliament has existed of course. It isn’t always necessarily a bad thing (Pitt the Younger for example). But it does become a potential problem if all MPs insist on posing as ‘local champions’ etc. If you are going to go down that route you had best take it seriously. Labour 546, Con 396, UKIP 309, Ind 108, Green 72. You get the increasing feeling that in 20 years this seat will be a marginal. Majority halved since 1992..
Runnmyede- perhaps, though the Conservatives need to start building support beyond Barnard Castle. This is trending tory as the old mining vote dies away, Sedgefield is too. I think we will switch to PR within a couple of elections anyway so that will save Bishop Auckland from having a tory MP. But if 2020 is Cameron’s 1959/1987 then it could fall to the tories for the first time since 1865! Though that was when this seat was the much larger South Durham. Given that the seat comprises Barny, Middleton and lots of highly rural areas its not that suprising to me. And forget all about comebacks in big cities – I noticed that the ‘Conservatives to target Manchester’ meme has raised its ridiculous head again. But no-one takes it remotely seriously. I think you need to distinguish between the hype and what actually happens in terms of targeting. The election result should be a pointer in that regard. Certainly the Conservatives appear to have learnt the lesson from 2010 this year but I don’t think that its sunk in yet to much of the London based media and political ‘experts’. One of the most interesting things from the count is that Shildon polled at about 25% for the Tories this time round, looking at samples from the count. They normally do well to get 5% there in County Council elections. I think this seat definitely is moving towards the Conservatives given the fairly big vote share increase they received here- someone commented further up that in next-door Sedgefield there was a very similar increase for them there as well. I wouldn’t really be surprised TBH if this seat was headed for recount territory in 2020, and if Labour do hold this next time it might be by as little as a few hundred votes. 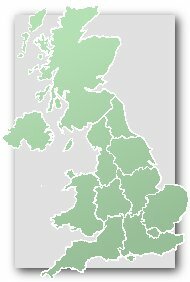 Regarding the “Conservatives target Manchester” upthread, clearly the northern cities are not fertile territory for the Conservatives these days. Will that change? Maybe. It’s probably the political idea behind the “northern powerhouse” plan of Osborne’s. Another hope for them may be if EM voters accelerate their drift towards the blues but really you can look at a lot of the English-speaking world (e.g. Canada, the USA) and see that the major cities are far more left-leaning than smaller towns so the likelihood is that there will never be a major Tory recovery in the big cities. The Tories don’t need to win many inner city seats. They just need to continue their steady progress in sweeping up all the rural and suburban seats. The next wave of seats they will be targeting will be places like Exeter and Derbyshire NE which they missed out on this time. Then the big challenge will be to push on into the other ex-coalfield seats. The poster above is broadly right – we are heading more towards an American-style political geography divided between big city and ‘the rest’ and, essentially, white and other. I think Scotland is heading towards an entirely separate party system from the rest of the UK, NI-style. Actually i don’t think scotland is heading the way of northern ireland. SNP dominance yes but with Lab, LD and Con still in the hunt. I think the Tories will have gained this seat by 2025- given the trends in their favour here I wouldn’t be shocked if they at least reduced the Labour majority again here in 2020. Depends on any Boundary Commission changes (or I suppose if we moved to a PR type system though I see that as unlikely soon). But subject to those points I agree. Large parts of the seat are rural but the analogy with the likes of Bridgend, Wrexham, Newcastle under Lyme etc. (and also some other East Midlands/Yorkshire seats perhaps is valid). The further you go from the days of coal mining and anti Thatcher sentiment based on that which hindered the Tories, as those voters die the more seats like this become winnable for the Tories. That may be so but communications aren’t that good here I don’t think. Also you do need new business for an area to recover properly I think. The Tory share is improving but it relatively recent and may be partly linked to the LD collapse. I think Labour should be somewhat concerned they didn’t push their vote up more this May though. Countryside and scenery (as in Copeland and other seats in Durham) don’t have votes but I do expect the Tories to win here one day. One really wonders where the UKIP vote came from in seats like this.. I suspect the Lib Dems , Labour and Tories in that order. Unless the Tories were losing more substantial votes to them and gaining from the Lib Dems. I can certainly see the Tories winning Derbyshire NE at some point but Exeter will be a lot harder. Those kinds of constituencies (university population, large public sector) are moving away from the Tories just as ex-mining areas are trending away from Labour. See also recent losses such as Lancaster and Hove for other examples of this phenomenon. I also thnk Exeter is unlikely for Tories. Their vote has moved up somewhat as the LD vote has split between the main two, but it is a fairly reliable Labour seat. I suppose it depends on whether the city is growing or shrinking. If the latter then future boundary changes will have to take in more of the rural hinterland which one would expect would benefit the Conservatives. Quite a big public sector population in Exeter. The Tories are strongest to the East of the city, but it’s not enough to win. Very high public sector employment share, yes. The Tories were also not helped by the last round of boundary changes that removed Topsham and St.Loyes. Had the original boundary commission proposals gone through, which would have split the city, the result might have been very close in 2010. I know this seat fairly well. Consists of many pretty villages/ countryside. Helen Goodman has said that the welfare changes will hit Roman Catholics disproportionately. Didn’t this MP recently piss off Liz Kendall’s team with that implied jibe that she’s not a mother? She’s supporting Cooper. Helen Goodman in a spot of bother for tweeting about Jeremy Hunt’s wife. Looking at those figures again and with this MP’s almost monthly gaffes if the opposition gets behind Tory or UKIP I can see her losing in 2020. Amazing how there has now been three posts from the past (above) documenting this MPs repeated slip-ups. She had an appalling result in May. Her gaffes may not cost her this seat per se, but the seeming trend away from Labour probably will. If any of the NE seats go Tory in 2020 this will be the most likely one. Sedgefield (Blair’s old constituency) could be heading that way in a few elections.